When we launched the experimental WordCamp Incubator program, we didn’t know what to expect. We hoped that after attending a WordCamp where there wasn’t already a WordPress chapter account meetup group, WordPress enthusiasts would be galvanized into forming a community that would sustain itself in the future. This certainly happened in two of the three communities that hosted incubator events in 2016. Plus, SIX communities that applied to be part of the program ended up organizing new WordCamps with the support of our amazing mentors! In 2018, we’d like to launch a v2 of the WordCamp Incubator program, but we have an added challenge this time: finding people to support/co-lead/oversee each Incubator event. In the first iteration of this program, we assigned 3 fully-sponsored volunteer staff to provide leadership and support to our incubator communities. But since the number of events and communities that the global community team supports continues to grow so quickly, our full-time sponsored volunteer staff is already fully committed for next year (and then some), mostly with maintenance projects. Therefore, we need to come up with another way to provide the support that made the incubator program successful in 2016. This is a time-intensive volunteer role. 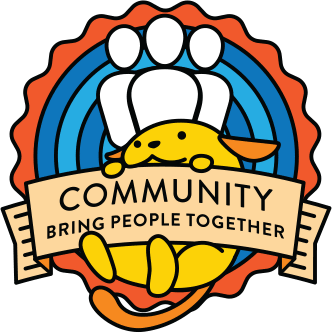 We estimate that lead organizers spend about 170 hours on a WordCamp, and I figure that the folks working to support the growth of an Incubator event needs to dedicate about 200-250 hours over the planning cycle. The job is that of co-organizer, mentor, and ambassador — since it’s probable that no one you’re working with has ever actually attended a WordCamp. You’re working as a community founder in a community that isn’t your own, which requires a lot of sensitivity, experience, and wisdom. The person absolutely must have experience organizing WordCamps, preferably more than one, as well as experience mentoring WordCamp organizers. Experience collaborating with people from other cultures is also very important. What do we call this job? Because this is such a distinctive role, I think that going forward, calling these folks “incubator mentors” isn’t a good idea. Mentorship is part of this job, but typically I think a mentor probably spends 1-4 hours a month working with their “mentee” WordCamp, whereas this role is more likely to require 25 hours a month. So! we need a new name for this program role. Here’s some very initial brainstorming that happened in Slack today. 1) Please comment below with your suggestions for a good name for this organizer-coach-midwife-counselor-guide role! I’m certain the right word is out there, just waiting to be found. As mentioned above, this role is very time-intensive and high-touch. Not everyone can commit 250 hours in a year to a volunteer role, and I suspect that we may need to lean on volunteers who might be sponsored part-time to work on the incubator program. Maybe we could even help interested volunteers pitch their companies on sponsoring a certain number of hours a week to work on an incubator event. Alternately, perhaps a team of 5-6 people would be interested in working with multiple incubator communities over a period of a year, and share some of the workload. (This makes me a little nervous, because sometimes when everyone is in charge, it means no one takes responsibility, but maybe there could be a rotating lead position on that team?) I’m open to suggestions. 2) Do you have some ideas of ways we could recruit people to take on this work and ensure their success? Please share your ideas in a comment on this post! 3) Interested in this role for 2018? Please also comment on this post to let us know! Once we figure out A) a name for this incubator-mentor-guide-organizer role and, B) a solid plan for recruiting enough incubator-mentor-guide-organizers to support a v2 of the Incubator program, then we can open up a call for communities who’d like to be considered as sites for a 2018 incubator WordCamp. I’d like to set us a goal of completing our discussion by October 6, with an eye to publishing the results by October 11, and maybe we can even make the call for incubator communities by October 16. WordCamp/Incubator Advisor is a good word for this role imo. I really like the idea of incubator program and would like to help if possible. I’m currently mentoring 5 WordCamps and am also involved in WordCamp Europe but I believe can be available from early 2018 and would really love to work with these new WordCamps. Re: more people involved – don’t see a problem about it, as long as we have one person who is responsible for getting the work done. My suggestion is to have one person and an additional mentor or two who can help out (plus, this could be a good way to involve people that are new to WordCamp mentorships as they will have the opportunity to work with more experienced people, ask questions etc. – it will be beneficial to all imho). Re: how to involve people – I think P2 is a good way. How to help them? If they can ask direct questions via Slack could work (directly to experienced deputies). Does it have to be one title to fit them all, though? How about having participating communities pick a title for their advising person, maybe in their language even? I would like to volunteer. I usually spend 5-8 hrs every week on various tasks related to WordPress.org, most of this is organizing meetups and helping out other local meetups here in India. This would be a great way for me contribute in a more structured way. ← Gutenberg on WordCamp sites?